OpenCart 2 SEO friendly URLs require mod_rewrite and rewrite rules which are included in the OpenCart 2 .htaccess file. mod_rewrite and OpenCart 2 SEO URLs are fully supported on all FastCometOpenCart 2 Hosting plans. If you experience any difficulties to activate this feature for your store, please contact our technical support for assistance. To activate the OpenCart 2 SEO URLs on your store, please follow the steps below. Please mind the dot ‘.’ before the name of the file, you should not remove it from the name but only the ‘.txt’ extension of the file. You can rename this file both on your local computer and upload the file later or directly on your hosting account via FTP or using your hosting account control panel. For more information on how to upload and modify on your account via FTP, please refer to our FTP Tutorial. When you have the correct RewriteBase set, please save the file and make sure it is properly uploaded under the root of your OpenCart 2 web directory. 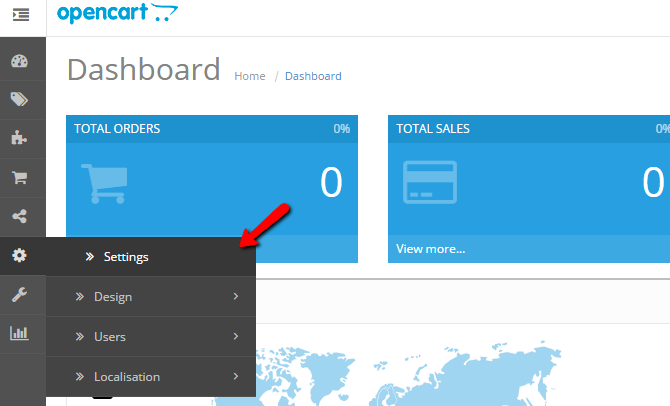 To finalize the process, please login your OpenCart 2 admin dashboard and refer to the Settings section via the navigation menu. From the store list, please click on the edit icon and refer to the Server tab from the top navigation. 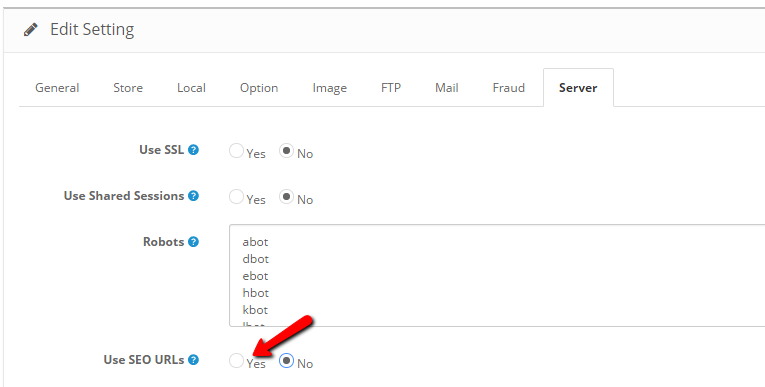 From the Server tab locate the ‘Use SEO URLs’ radio button and set it to ‘Yes’. When you are ready with your configuration settings save your changes and check your OpenCart store frontend to make sure that the SEO URLs are properly working. In case you experience any difficulties, please verify that your .htaccess file is properly uploaded under the OpenCart 2 installation directory and the correct RewriteBase is set in the file.